The number of infants died in the state-run Baba Raghav Das Medical College in Gorakhpur, Uttar Pradesh, could have been higher than initially reported. New reports suggest that at least sixty children have been killed in the medical college this week alone. Out of the 63, nearly half of them lost their lives in the past 48 hours after the hospital ran out of oxygen supply. 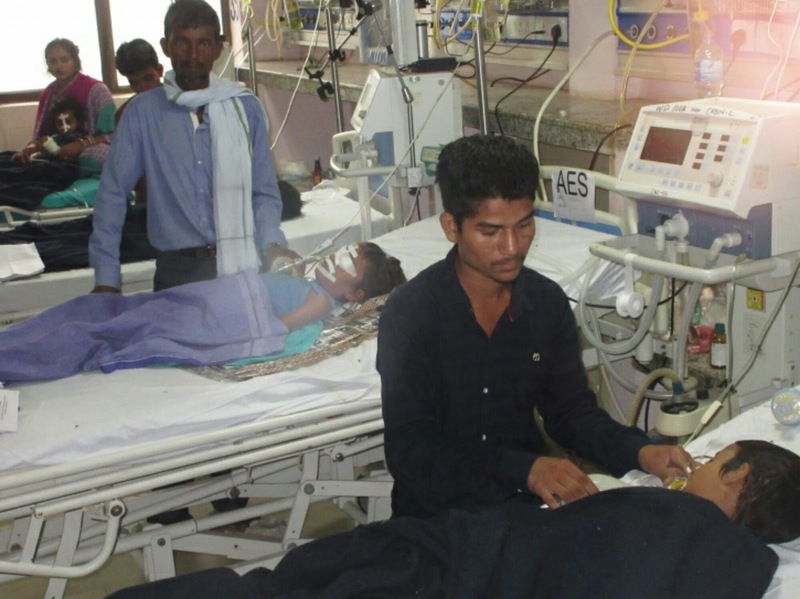 The Yogi Adityanath government which has come under heavy criticism for the tragedy has denied reports that the deaths were caused by a shortage of oxygen. 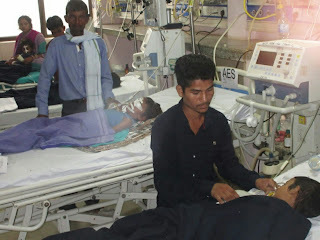 State health minister Siddharth Nath Singh dismissed the reports and claimed that the children died of encephalitis. Hospital authorities have however admitted that the firm that was supplying oxygen had stopped the supplies due to pending bills. Supply of liquid oxygen was disrupted yesterday day due to pending payment," Rautela told ANI. Uttar Pradesh chief minister Yogi Adityanath directed state health minister Siddharth Nath Singh and Medical education minister Ashutosh Tandan to visit BRD Medical College and take stock of the situation there. The deaths in Gorakhpur, the long time Lok Sabha constituency of Yogi Adityanath has given enough fodder to the opposition to target the government. A delegation of Congress leaders led by Ghulam Nabi Azad reached the BRD Medical College on Saturday morning and spoke to the family members of the deceased. "What happened was due to lapse on the government's part," Congress leader R P N Singh charged. Calling the deaths at the hospital a "disaster", BSP leader Sudhindra Bhadoria called for CM Yogi Adityanath's resignation. "This is a matter of great shame for the UP chief minister. If there's any morality in the government, he should quit and go, for such a disaster has happened. Hope he has enough shame in him to go and regret to the parents and quit on moral grounds," Bhadoria told ANI. Samajwadi Party as well went on the offensive against the state government. Senior leader Ram Gopal Yadav said the state must provide reparations to the family members of the deceased. "Parents of children who died must get compensation, free medicine must be provided to poor families across UP," he added.